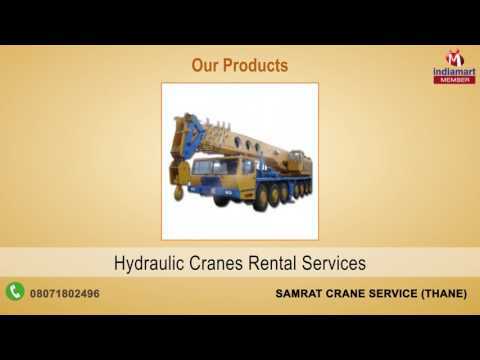 We "Samrat Crane Service%u201D are listed among the popular and trustworthy organization of the industry dedicatedly engaged in providing quality assured assortment of Crane Rental & Transportation Services, since our establishments in the year of 2004. Under our services range we are offering Crane Rental Services, Truck Mounted Crane Rental Services and Material Handling Cranes Rental Services. Offered services are admired by our clients for their timely delivery, accurate solution and client specific nature. We are offering these services with the help of highly qualified and experienced professionals.